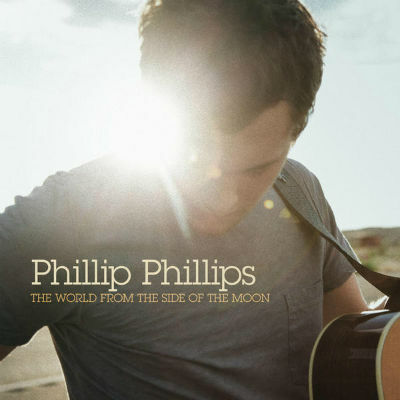 Phillip Phillips - “The World from the Side of the Moon"
This is a debut album from season 11 American Idol winner, Phillip Phillips. The album includes Phillip's coronation song, "Home". Phillip Phillips began writing songs with collaborators and recording rough tracks for the album before the American Idol Tour began in July 2012. He collaborated with David Ryan Harris on "Tell Me a Story", which he described as his favorite song in the album and the one he is most proud of. Other songwriters he collaborated with include Greg Holden and Drew Pearson who wrote his coronation song "Home". After the success of this song, Phillips indicated that the album will have a couple of songs similar to "Home". 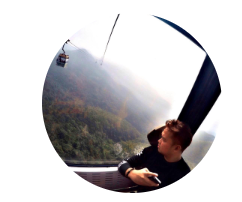 He wrote with his brother-in-law Benjamin Neil "Drive Me", a song he had originally wanted to be his coronation song. His girlfriend Hanna Blackwell also contributed lines to the lyrics on the bonus track "Take Me Away". All but three of the tracks on the main album were written or co-written by him, with four of the songs he wrote himself. The album title, The World from the Side of the Moon, come from the lyrics of the first song on the album, "Man on the Moon." Phillips described it as the experience of watching himself in a DVD of the whole Idol season someone gave him, "so I was kind of watching myself from a whole different world that no one else really knows. It’s interesting to see how it happened and so fast. That's how I picked the title: I felt like I watched myself grow and this whole album is representing where I am."